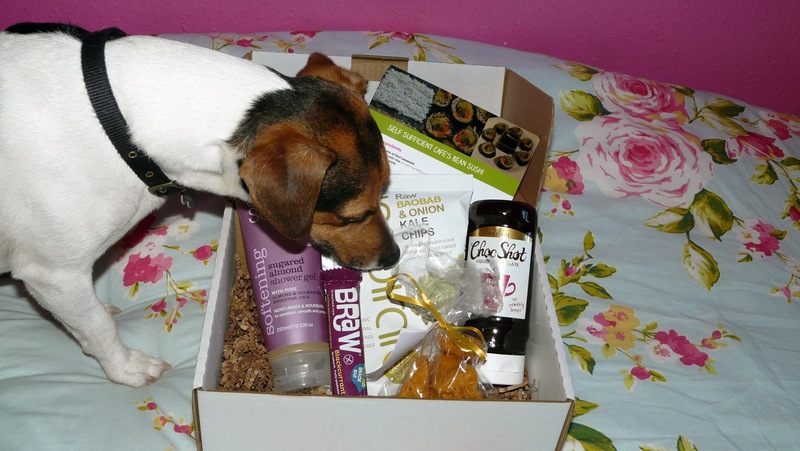 There are now lots of monthly food and beauty product subscription boxes on the market, and the only reason I had never signed up to one before was because generally most of the products are not vegan or cruelty free. Late last year, when I heard that fellow cruelty free blogger Karris was launching her own 100% vegan and cruelty free subscription box The Vegan Kind, I wasted no time in signing up! I have received all four boxes so far (I would've reviewed all of them but I had a little blogging break), and I have loved every one of them. You get a good mix of items in each box (5-8 products) ranging from food, toiletries, cosmetics, cleaning products, accessories and household supplies - plus a recipe card - all for just £10 + £2.95 p&p. 10p from the sale of each box goes to a different animal charity every month! 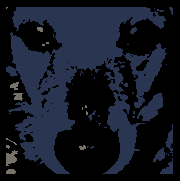 February's chosen charity is the Society for Abandoned Animals in Manchester, who care for and rehome unwanted cats, dogs and rabbits. inSpiral Kale Chips 30g (RRP £2.19) I've heard good things about kale chips and have been wanting to try them for ages. 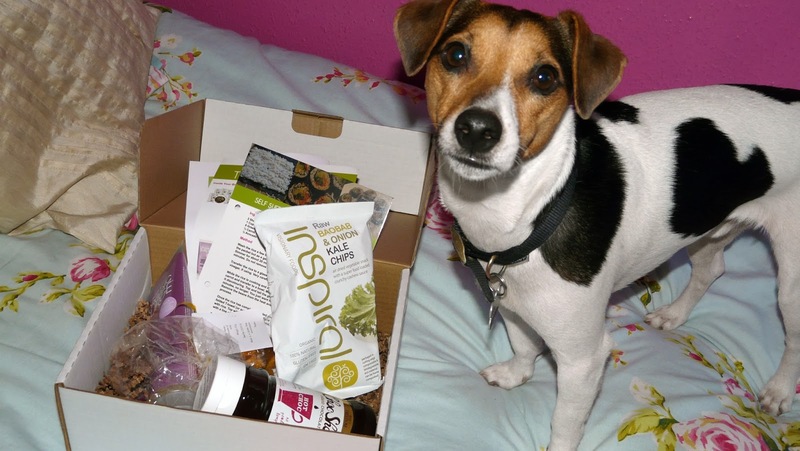 inSpiral's chips come in 5 different flavours; I received baobab & onion. I haven't got round to trying these yet but hopefully they will be a good replacement for regular potato crisps (my weakness!). Sweet Freedom Choc Shot, 320g (RRP £3.59) A liquid hot chocolate that can also be used on ice cream or toast, in porridge and milkshakes etc. I opened this straight away and used it as a topping for some chocolate chip pancakes I made for breakfast one Saturday (and topped with raspberries and hazelnuts!). It is so divine! It's 100% natural so you needn't feel too guilty about smothering everything in this dreamy chocolate sauce. 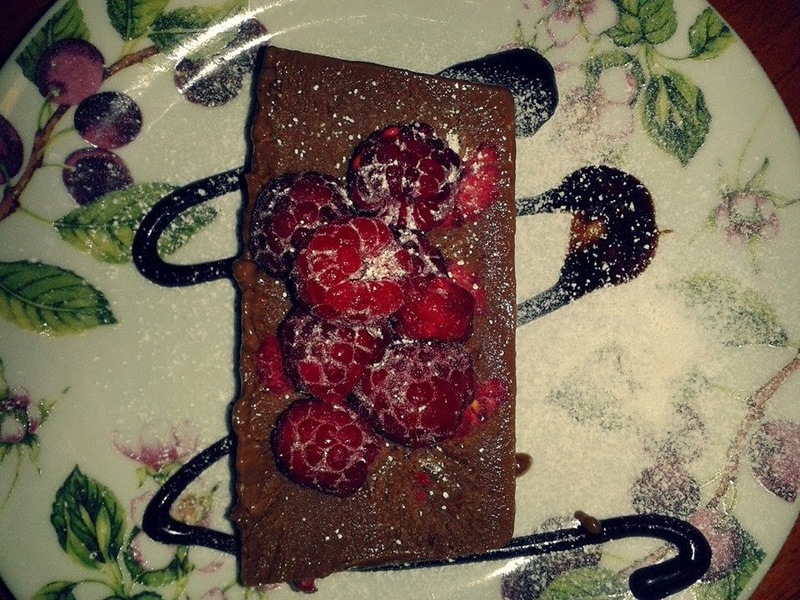 I haven't tried it in hot chocolate as I don't really drink it, but I did use it to decorate the plates when I made an amazing chocolate raspberry semifreddo for our Sunday dessert last week. The choc shot went really well with the richness of the dessert - so well, in fact, that I could've even poured some more over the top! Organic Surge Sugared Almond Shower Gel, 250ml (RRP £4.35) I haven't tried this yet but I hope it smells as good as it sounds! This shower gel is 98.89% natural, which is great as I prefer to avoid chemicals as much as I can. 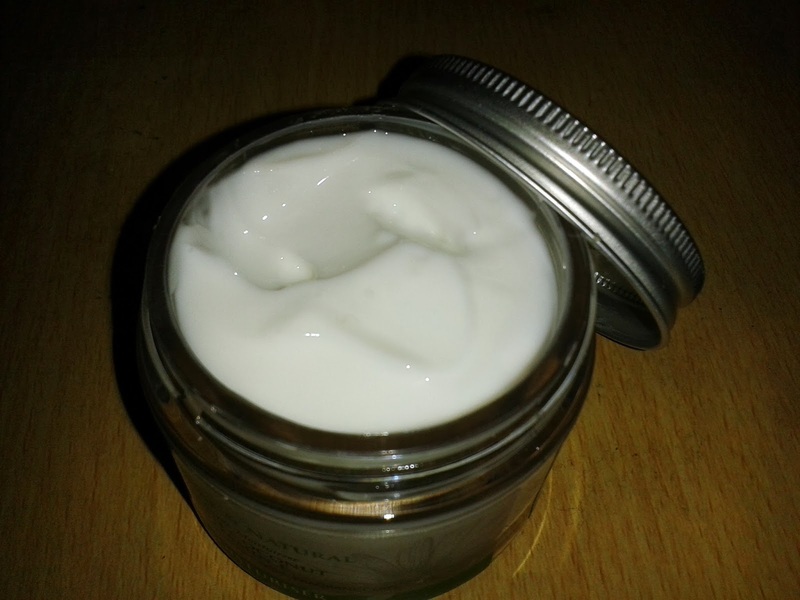 It also contains palmarosa essential oil, aloe vera and glycerine to nourish and hydrate the skin. 1066 Cake Stand Cinder Toffee, 50g (RRP £1.50) I love honeycomb/cinder toffee, and I am looking forward to dipping this in chocolate, or perhaps crumbled on top of some cupcakes. This took Jack's fancy as well! 1066 Cake Stand are a vegan bakery in Hastings. They have a separate wheat and gluten free kitchen, perfect for people with allergies. Braw Pressed Fruit and Oat Bar, 35g (RRP 99p) These healthy snack bars come in four different flavours (I got blackcurrant) and count as one of your five a day. All the bars are 100% natural, contain no added sugar and are gluten free. Again, I haven't tried this yet but I'm sure it's delicious. I love these kind of bars as they are so handy to keep in your bag for when you need a snack on the go. Jack and I can't wait for next month's box! 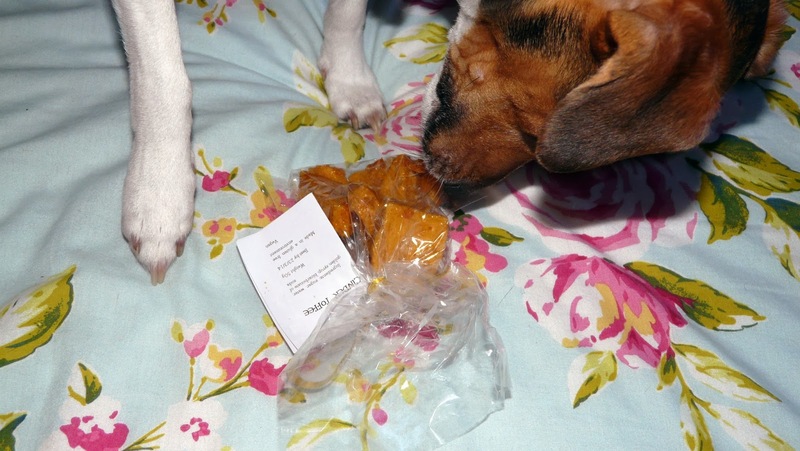 Mum, what do you mean I can't have any of it? 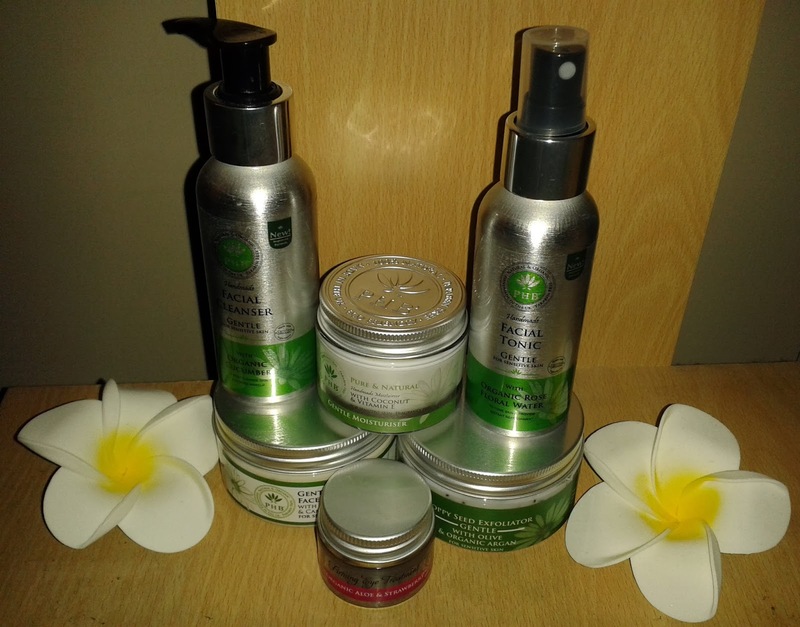 I recently decided to change the product range that I use in my facial treatments. I have a strict range of criteria when it comes to buying personal beauty products, but even more so for my business. Firstly, the products must be vegan (goes without saying! 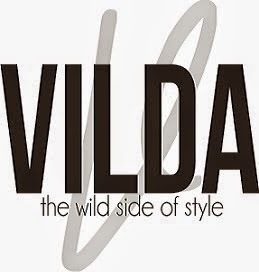 ), and secondly, I prefer to buy from companies that carry the Leaping Bunny logo. I also only desire to use natural products on my clients' skin - there are far too many harsh chemical-based products out there. Lastly, I prefer products that have little or no fragrance so that I can add different essential oils to them depending on each client's needs. 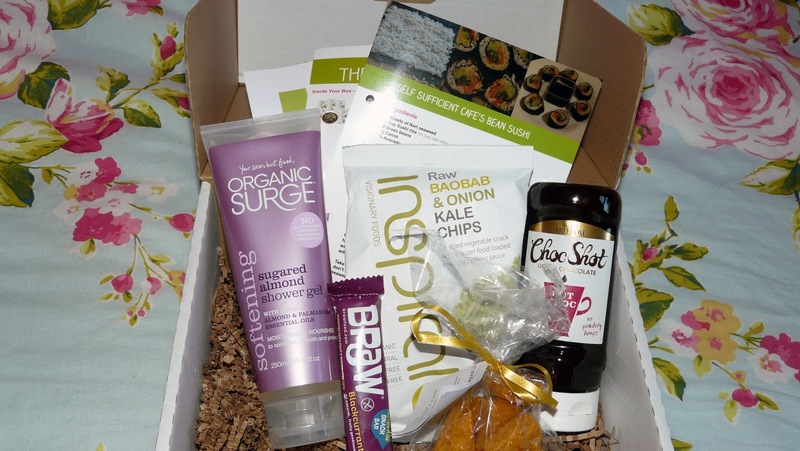 The company that ticked all my boxes was PHB Ethical Beauty. Having already tried (and loved) their mascara and lipstick, I had confidence that their skincare products would be just as brilliant. I bought a selection of products to try out for myself first. I opted for the 'gentle' range which is aimed at sensitive skin and therefore not heavily scented. Gentle Facial Cleanser, £12.95 This is such a gorgeous, luxurious cleanser - my skin felt really clean and smooth after using it. It is rich and creamy, and gently melts away your makeup (even waterproof mascara). Organic cucumber helps to cool and refresh the skin. Gentle Facial Tonic, £12.50 This toner is made with organic rose water and it has a beautiful aroma. It left my skin feeling refreshed and calm. You can either spray it directly onto the skin or apply with cotton pads. 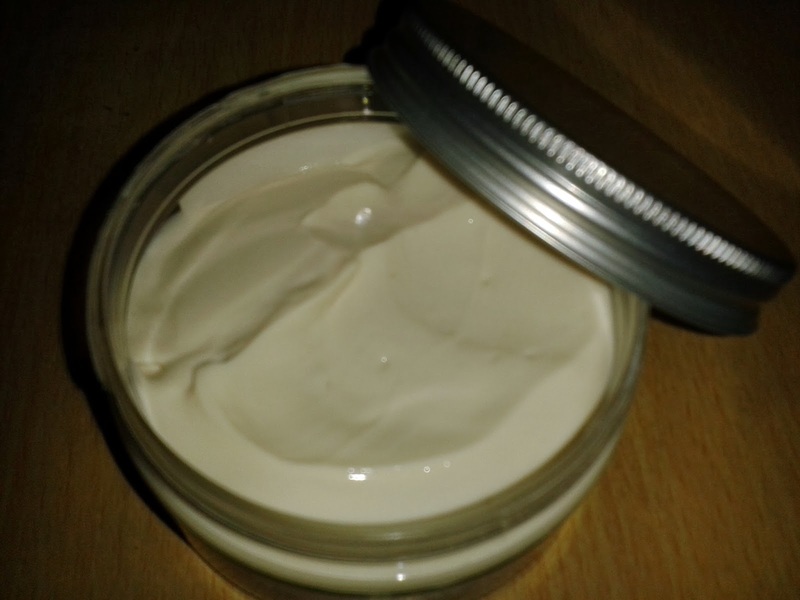 Gentle Moisturiser, £15.85 This moisturiser contains coconut and vitamin E to soothe and nourish the skin. 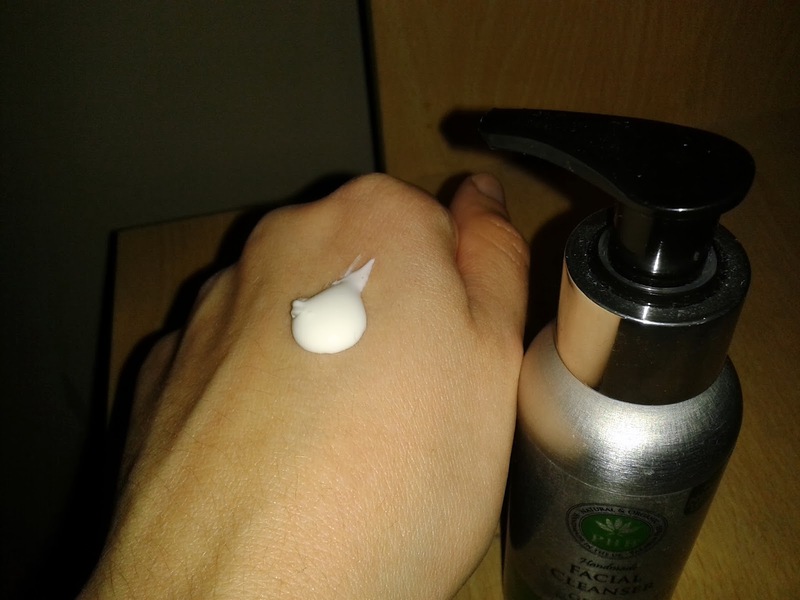 It is quite a rich moisturiser but it is easily absorbed. I suffer from dry skin in the winter so this moisturiser is perfect for me (I do still get an oily nose and chin, but it didn't make those areas look greasy). My skin felt really soft and supple after using this. 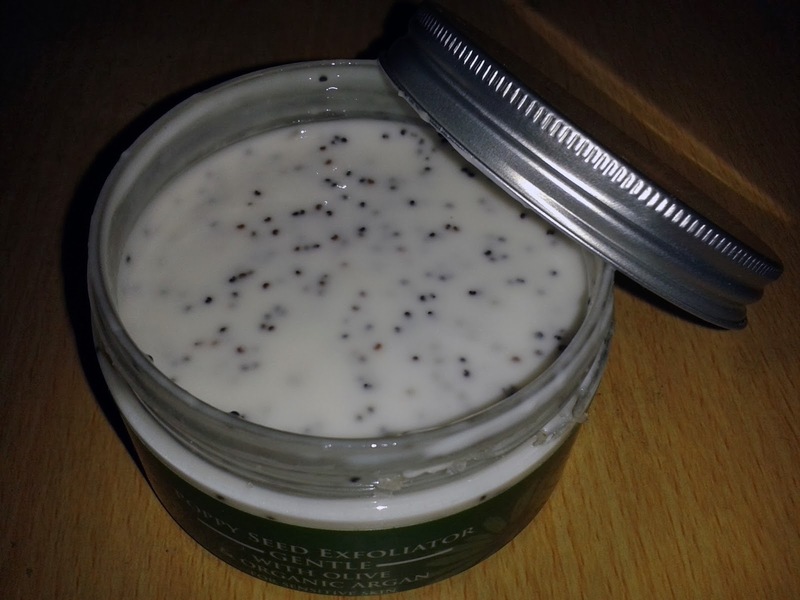 Gentle Poppy Seed Exfoliator, £12.50 I love using a good exfoliator to slough away dead skin cells, but often they can be too harsh. This product is made with natural poppy seeds (as opposed to plastic beads which harm the environment) to gently exfoliate the skin without causing irritation. It also contains olive and argan oils to leave skin looking and feeling radiant. I loved this exfoliator as it left my (sometimes) sensitive skin feeling fresh and smooth. Gentle Face Mask, £16.75 Out of the whole range I would say that this is one of my favourite products. It just feels so nice on your skin - soothing and cooling. What I also love about it is that it is thick, creamy and non-setting. Setting face masks can often leave your skin feeling tight and dry afterwards, but this one leaves it feeling smooth. It is also so much easier to remove than a setting mask! Avocado and camellia are added to help to soothe, nourish and rejuvenate the skin. 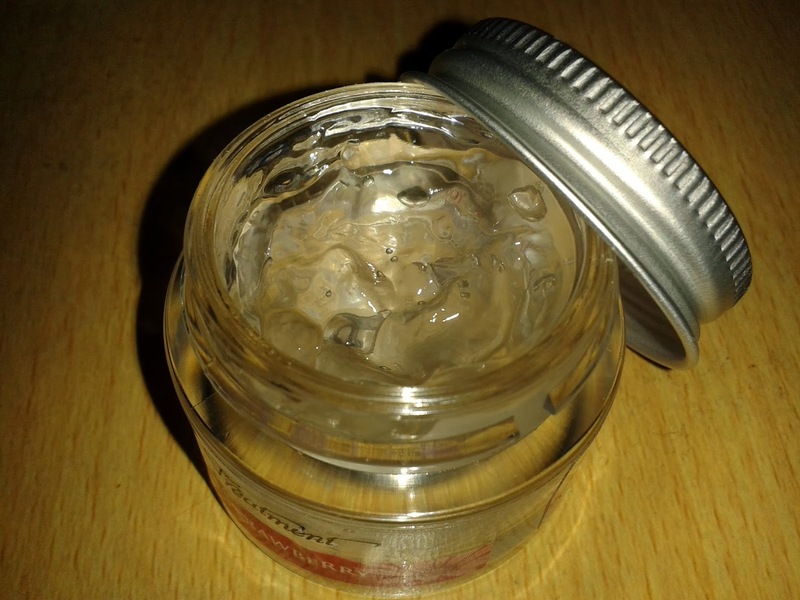 Organic Aloe & Strawberry Firming Eye Treatment, £13.80 This eye gel left my eye area feeling soothed and refreshed. It is easily absorbed and contains vitamins and amino acids to help reduce the appearance of fine lines and wrinkles. I have started using the products on my clients and they love them too. 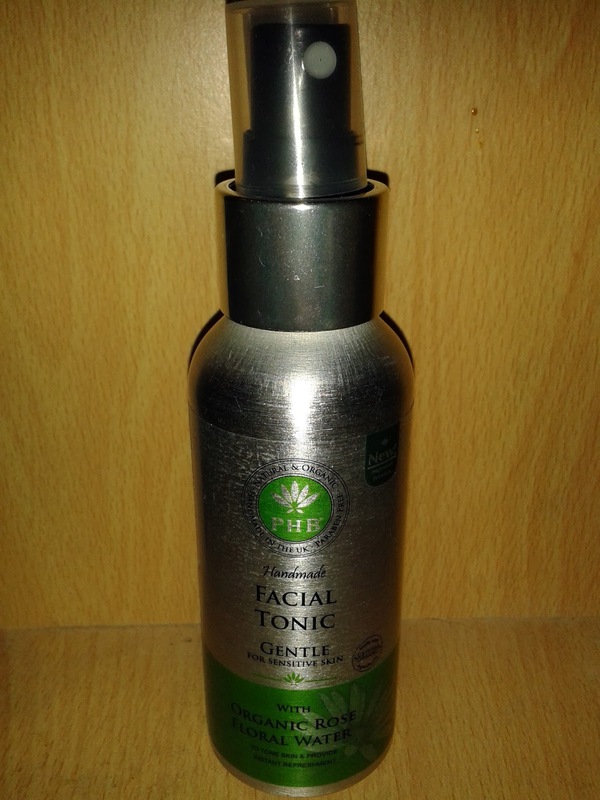 I am really impressed with PHB's skincare range; it is so nice to find products that are as natural as they claim to be (I often see 'natural' products that still contain one or two chemical nasties). Whilst the products aren't too expensive, they aren't cheaply priced either. However I definitely think that it is worth paying a little bit more if you want natural, high-quality, ethical products. Have you tried anything from PHB's skincare range? 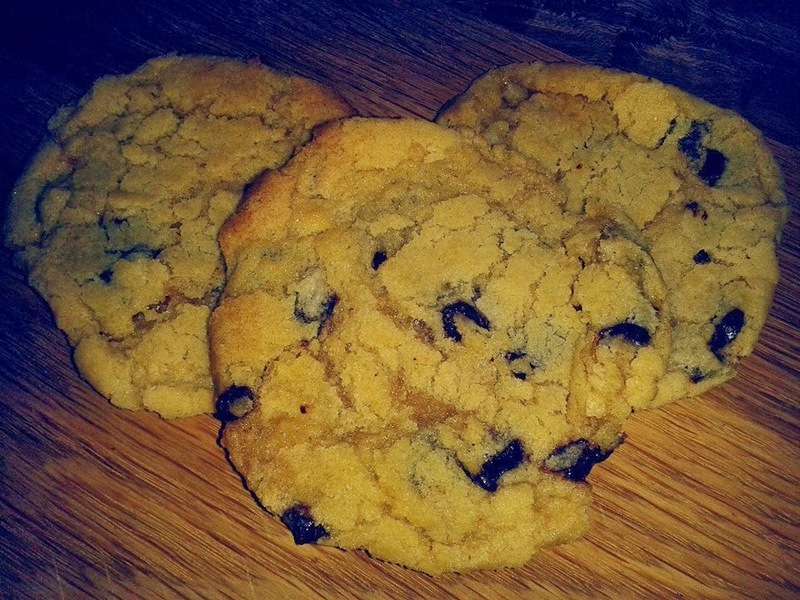 Gooey, chewy chocolate chip cookies are easily one of my favourite sweet treats. Before I went vegan I used to buy the packs from supermarket bakeries and eat two or three in one sitting. It occurred to me this morning that I have not indulged in the fudgy delight of these cookies for well over a year, since I've yet to find a ready-made vegan version. But home-baked goods always taste ten times better anyway, and as I had a friend coming over for the afternoon I decided to whip up a batch of cookies. I dug out an old recipe and easily veganised it. I used a packet of dark chocolate chunks and also some vegan white chocolate which I roughly chopped up. These cookies are also great with raisins and/or nuts in, and maybe even some cocoa for a double chocolate version. Method 1. Preheat oven to 180°C/gas mark 4. Lightly grease a couple of baking trays. 2. Cream together the margarine and both sugars until well combined and fluffy. 3. Add the oil, water and vanilla extract and stir to combine. 4. Sift in the flour, salt and baking powder, then add the chocolate chips and stir until a soft dough forms. 5. Roll the dough into walnut sized balls, place on the baking trays and flatten with a spatula. 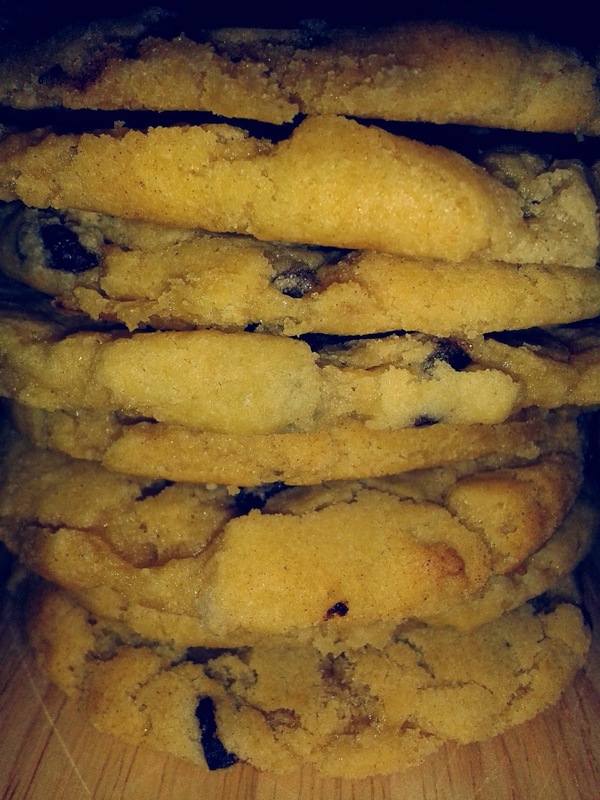 If the cookies rise up slightly during baking just flatten them again whilst they are still hot. 6. Bake for about 7-10 minutes depending on how gooey you like your cookies. 7. Once out of the oven, leave the cookies to harden on the trays for a minute then transfer to a wire rack to cool. These cookies are delicious when eaten warm from the oven!